Community Potluck after the service – please sign up to bring a dish! We look forward to being with you on this joyous occasion. We give our sincere thanks for the gifts we have received in many forms during this inaugural year. The generosity of our friends has made this celebration possible. And should you desire to support our ministry financially, you may give by check payable to Abundant LUUv, or give on-line at https://www.paypal.me/aluuv. Guest Minister, Rev. Sherman Z. Logan Jr.
Rev. 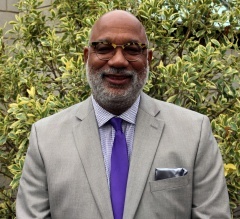 Sherman Z. Logan, Jr. currently serves as the Executive Minister of the First Unitarian Universalist Church of Richmond VA. A native of Richmond, he earned a Bachelor of Arts in Sociology, from the University of Virginia, and a Master of Divinity from the Samuel D. Proctor School of Theology at Virginia Union University. Before answering his call to ministry, he worked in the retail industry for twenty years in various management positions. Prior to joining the staff of First Unitarian Universalist in 2008, Rev. Sherman served as Associate Minister of the Trinity Baptist Church. 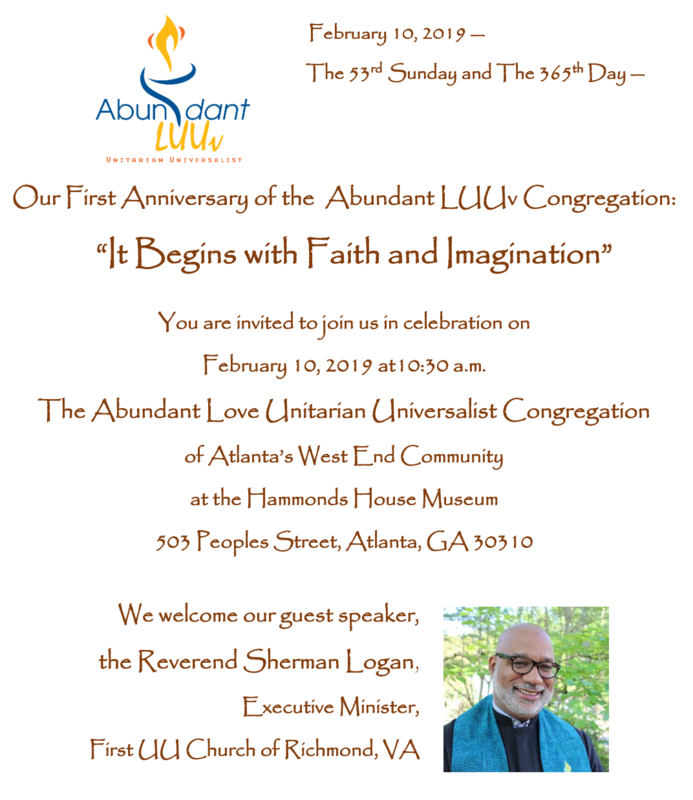 While serving as Business Manager at First Unitarian Universalist, Sherman received preliminary ministerial fellowship from the Unitarian Universalist Association in 2014. 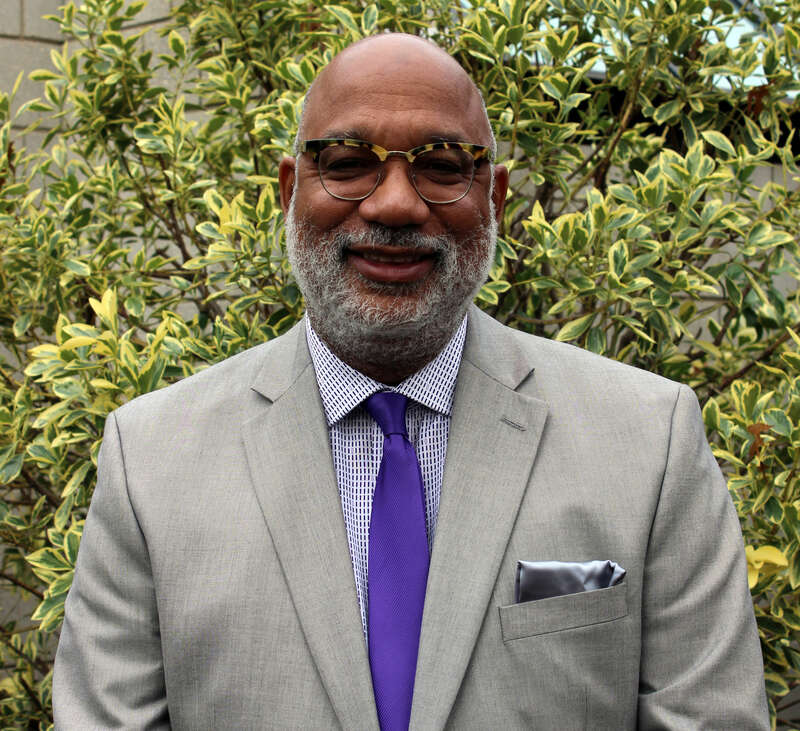 Rev, Sherman enjoys spending time with his wife Franka, five children, three granddaughters and 2 grandsons and his two Jack Russell Terriers.